A fatal accident has claimed a woman’s life and injured two others in Ibadan, Oyo state capital. 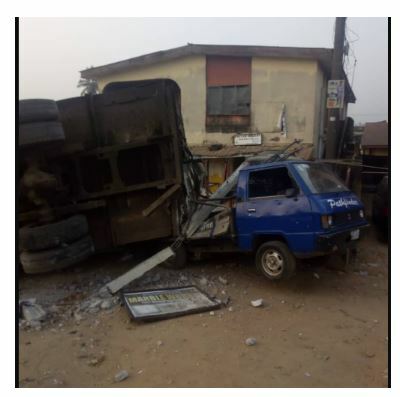 It was gathered that the accident happened in Apata area in Ibadan in the early hours of Sunday, 23rd of December, 2018 involving a truck and a motorcycle. According to an eyewitness who spoke with #ADITU, Mr Gbenga, the truck failed brake and hit motorcycle when it got to the pump at Apata Police Post. Consequently, it killed a woman and injured two men who were on the motorcycle. 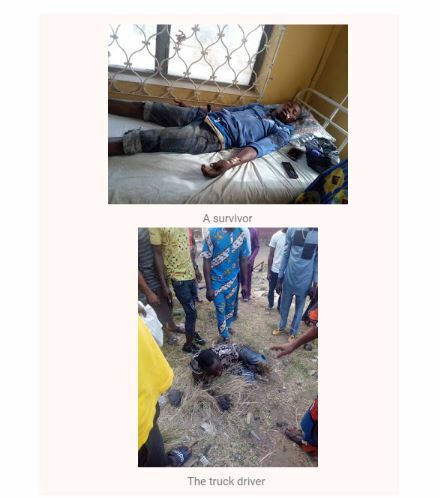 A survivor, identified as the motorcyclist, Mr Habeeb Aniyikaye, said that they were three riding on the motorcycle, and were in the front the truck without knowing it had failed brake. They were hit from behind by the truck and the woman seating at the back of the motorcycle died instantly. According to reports, a huge amount of money was found in the dead woman’s purse, which is suspected that the deceased was heading for Ogupa market to buy items for the forthcoming Christmas celebration. The injured victims were rushed to the hospital for treatment. However, the truck driver is currently in police custody for further investigation. 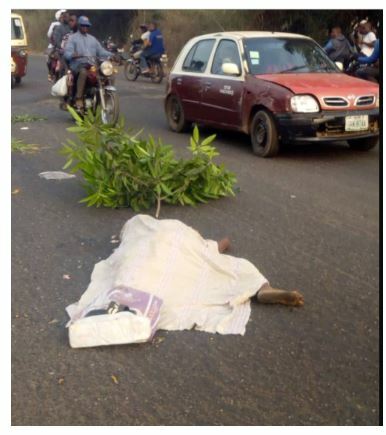 The post Woman Killed, Two Others Injured After Being Hit By Truck In Ibadan (Photos) appeared first on Naijaloaded | Nigeria's Most Visited Music & Entertainment Website.